There are 9 posts filed in Uncategorized (this is page 3 of 9). There are lots of great bike routes in Seattle – if you can just escape the city and find them. Here are the best Seattle bike routes accessible from downtown. This route has punchy hills and really fun s-curves, but the best feature is 10 miles of road without a stop sign. It’s just minutes from Seattle. 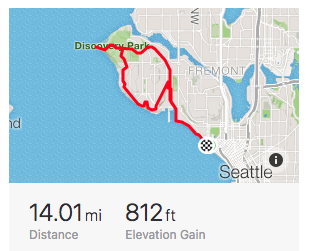 This ride was rated by Bicycling magazine as the best bike ride near seattle. Also known as the Mercer Island Velodrome, local racers meet for an un-sanctioned (and genuinely dangerous) throw-down Tuesday nights after work – Mercer Hot Laps. Please do give drivers room to pass so we can preserve this precious gem. The new 520 bridge bike path opens up many more possibilities for east-side riding. There are trails and bike lanes stretching all the way to Redmond. 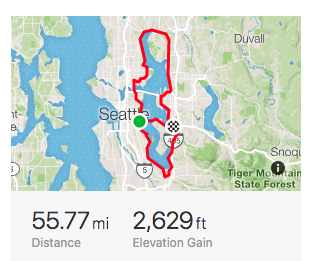 A lap around Lake Washington is about 50 miles. To go around, take the Burke Gilman trail from UW to the Kenmore log boom. Then go over Juanita hill, or stay on the trail and come south through Kirkland. On the south-east side, you’ll pass the Seahawks practice stadium, Coulon park, and the Renton Airport. 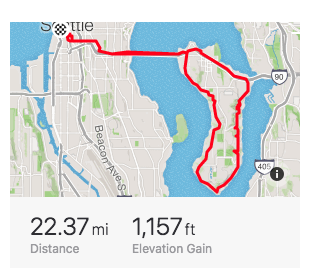 Finally, take the awesome Lake Washington boulevard from Seward Park back to Seattle. Note that on Bicycle Sundays the southern end of Lake Washing Boulevard is closed to cars completely! Riding through discovery park feels like being in the San Juan islands. There are historic buildings, fields of tall grass, and and views of Puget Sound and the Olympic mountains. It’s a great spot for a picnic – and once in a while whale watching. Ride all the way down to the light house to insure a good workout on the way back. For more beach action, head to Alki in West Seattle via an excellent bike trail leaving from the Seattle water front. 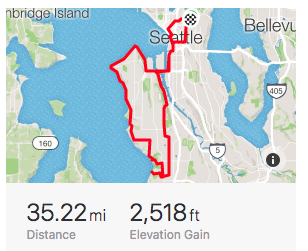 Following Puget Sound south makes for a hilly suburban ride. May valley – rolling country roads, the smell of horses – amazingly close! Lake Samamish – Lake Washington’s small sibling.